Recently I was looking up a recipe for making blue cheese dressing from scratch to accompany my chicken Cesar salad. I started wondering what else blue cheese would go well with. 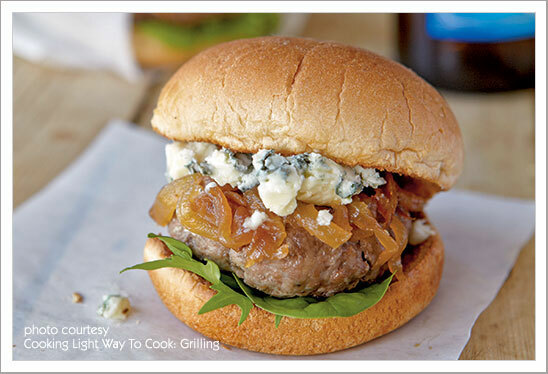 After some research I came to the conclusion that blue cheese went very well with lamb or beef. I started thinking how good a lamb burger on a bed of caramelized onions, (sauteed red peppers and tomatoes topped optional) with either crumbled blue cheese or blue cheese dressing and fresh salad leaves (or shredded lettuce) in between good quality soft grilled buns would be. Obviously with a side of crispy salted chips/fries! Personally, I would use a blue cheese dressing with a little blue cheese crumbled on top as I find the taste of blue cheese to be a little over powering.